When JP Willigenburg left his successful career in IT to go into hospitality, he had no idea it would lead to being an entrepreneur on the move — literally. 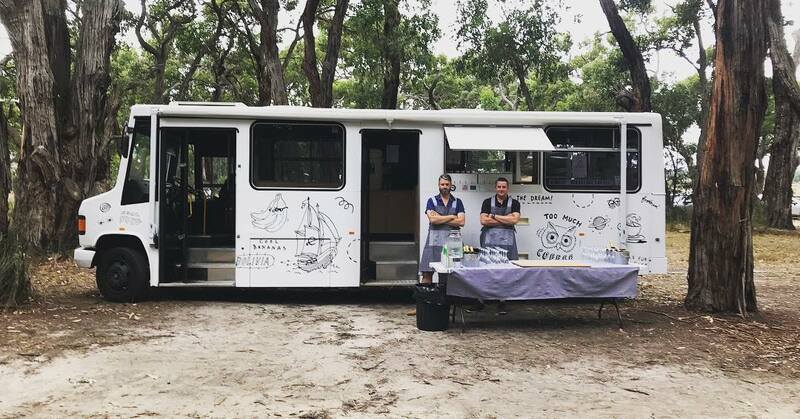 After learning the ins and outs of the industry, and consulting with his favourite cafe, JP took a leap of faith and purchased Bussy McBusface, one of the most well-known (and aptly named) sources for a coffee on the Mornington Peninsula. Food trucks have always been a regular fixture at events and music festivals, and if you think you’re seeing more of them lately, that’s because you are. The mobile hospitality industry is booming and no longer confined to local markets, school fêtes and entertainment venues. In fact, the Australian Mobile Food Vendors Group estimates that there are now around 3,000 food trucks in Victoria alone, up from 1,500 just two years ago. Although the sector has scaled quickly in popularity, many businesses are still operating with inefficiencies that are hindering their growth. 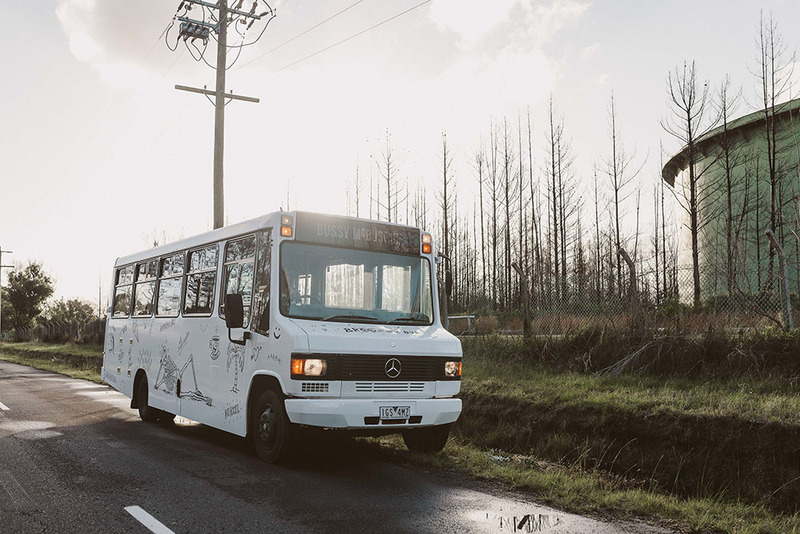 We caught up with founder/barista/bus driver JP to find out what it takes to create, grow and drive (excuse the pun) a successful business on the move. How did the idea of running a coffee shop from a van come about? The idea of working in hospitality came to me a few years ago when I wanted a change from my career in IT. I always wanted to work in hospitality but didn’t want to work with just anyone. I wanted to work with the best. I developed a relationship with one of Mornington’s best cafes, Commonfolk, which roasts all its own coffee onsite and produces top quality beans. I ended up learning so much from them — all the best parts of what they did — so I purchased a bus, Bussy McBusface, and started running it as a mobile option to the cafe. I took Bussy on the road in August 2017 and haven’t looked back. Why did you opt for a mobile van instead of a brick-and-mortar cafe? The van was very appealing to me as a new business owner because it was a lower-risk option. If I didn’t like an area, or didn’t get enough foot traffic, I could just pick up and move on. Being mobile was also helpful for building brand awareness because we could get the coffee and brand in front of hundreds of people instantly, compared to your average brick-and-mortar cafe. Can you tell us about a typical day at work? Bussy has typically always been on the road every day pedalling the much-needed daily caffeine fix to locals along the Mornington Peninsula, and then out at events or weddings on weekends across Melbourne. However, nowadays Bussy is parked Monday–Friday at a new distillery in Seaford, That Spirited Lot Distillers, that I just opened with my brother. We built a little pop-up cafe around where we park Bussy, and because people along the Peninsula know our brand they come in for coffee every morning. On weekends, however, Bussy is still busy with events and regularly traveling down the coast and across the city. How does technology enable you to run your business? We couldn’t operate without technology. As a former IT worker and business consultant, I know exactly how much easier technology makes your life when you’re a business owner. I’ve implemented technology platforms in my business that streamline all the tedious back-end tasks that I don’t have the time to spend on. We have a website which has an interactive calendar and takes event bookings, and we use Square for payments, which is great because it’s a super-fast mobile system — just like us. Square also integrates with our accounting platform, Xero, which is very helpful (especially come tax time) because we don’t have to worry about wasting time reconciling or manually rekeying sales — all the data is automatically in our account. Is technology changing the mobile hospitality industry in general? The mobile hospitality industry is a bit strange, I’m not going to lie. You meet some very interesting people on the road who are all very protective of the way they do things, which is completely differently to the way I do things. I do feel, however, that the industry is starting to change. Food trucks have become insanely popular over recent years and their offerings keep getting better and more inventive, so business owners are being forced to up their game and be more innovative with how they operate. There are also more mobile technologies and do-it-yourself business tools available to entrepreneurs now, so I think that has spurred the number of people willing to take that leap and go out on their own to run a business too. Would you ever consider living on your bus? I have slept in it before at multi-day events, and one day we will probably put some beds in the back or build some sort of add-on that we can use for sleeping at those super-long jobs. I will say, though, it will never be a full-time home for me because I enjoy all the luxuries of a house too much! I thoroughly enjoy the setup that we have right now with our makeshift Bussy cafe at the distillery space. We’ve created a really cool and unique experience — and people are really responding to it — so I’m excited to see where that takes us. We’re already planning to use Bussy to moonlight as a mobile bar once the distillery is up and running, so I am anticipating we’ll be an even more desirable mobile business once we start serving cocktails too. What’s the best advice that you can pass on to someone thinking of starting up their own mobile business? Know your target market, set sequential business goals and remain flexible to adjusting them as the business landscape inevitably changes when you grow. Every new business owner should do their research before they burst onto the scene, and you will be tempted to take on things that don’t quite fit your goals or target market. Just be sure to constantly reassess — if it doesn’t feel right, it probably isn’t. Also, never be afraid to say no to a booking or event that you don’t feel fits your overall brand and business ambitions. Really, it’s pretty simple. Just pursue what you enjoy and do the events that you would want to attend as a patron. Then, even if the day doesn’t go to plan, you can still at least enjoy the music, food and drinks!